Mission Statement: Coastal Hardwood Inc. will be the premier wholesale hardwood-flooring distributor in the Gulf Coast region by exceeding our customer’s expectations. We will do so by providing superior customer service, selling and servicing only the highest quality products, focusing on our core strengths and empowering our employees to pro-actively seek solutions to customer problems. We welcome you to visit our facility and warehouse to see our extensive line of the leading manufacturer's pre-finished and unfinished wood flooring products. Additionally, we carry a full line of machines, supplies, tools, finishes, stains, abrasives, stair treads, and repair parts. Coastal Hardwood Inc. is indeed a "one-stop-shop", so you won't have to run all over town to get what you need. 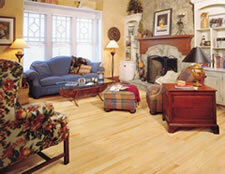 Please review our on-line catalog and see for yourself that Coastal Hardwood Inc. covers all of your needs. If you don't see something you need in our catalog, call us and we’ll get it for you. 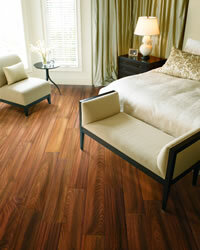 Our goal at Coastal Hardwood Inc. is to provide you with the highest quality products and service available. We look forward to helping your business prosper.